Top Video Ranking Factors and How to Achieve them + Some Myths! In order to be competitive as a content creator in the digital marketplace and become successful, video SEO must be of the utmost importance. Algorithms are utilized by search engines in order to determine the hierarchy of these rankings. Knowing what motivates a search engine and what drives their need for success is the first step in understanding video ranking factors. The primary motivating factor for search engines is more or less a no-brainer, money. More views for a search engine naturally equates into more capital. This is true because the more views a search engine receives; they will be able to sell more ads that will ultimately be observed by the viewers. If the search engines receive a high number of views, then that will make them more lucrative and sought after and bidding for ads will skyrocket. If as a content creator you can help the search engines attain a high number of views by providing solid results, your rankings will be substantially higher. This article will explain the nuances and most important aspects of these algorithms in a high-level overview, as an expansive and in-depth analysis of the algorithms would be much too time-consuming. Two ranking factors come into play for a search engines consideration. They will consider the search audience for the video and its relevance to the search query that was initiated. Regardless of the change of algorithms, and they can change fairly often and consistently, search audience and content relevance remain constant video ranking factors. Audience interest cannot be directly impacted or manipulated. The best way to approach mastering this component would be to understand it and manipulate your content to cater to the audience interest at the time and foster more of it. This will create a direct and positive correlation to the second component of video relevance when you create the signs within your video to the search engine of that relevance. Search engines measure the interest of the audience thus establishing relevance by using a list of many different factors. An important thing to remember is to never target just one or two factors. This is a mistake that can cause Google, Bing or YouTube to omit a huge segment of potential audience members. What is referred to as “engagement signals” mirror the interest of an audience in a video. Engagement signals such as; the number of views, view velocity, view quality, and likes all need to be taken into high consideration with regards to SERP optimization. The number of views is commonly regarded as a high priority ranking factor so long as one does not try to “cheat” the system. While the more unique your viewership might be and a high quantity of viewership can increase your rankings, manipulation of these viewers using methods such as buying views result in penalties. View velocity is the number of views received over a period of time. The growth rate or decline of those views can directly affect rankings. View quality can also influence your rankings. View quality is determined by the length of time viewers are watching your content. If viewers are watching the videos in their entirety, then that would positively affect the rankings. If viewers are only watching 10 seconds of a 20-minutes, then that would of course negatively impact the rankings. Search engines are smart to know the difference. Likes are the most obvious display of user interest in a particular video. Comments, Video Quality, Channel Subscriptions, and Subscription velocity are some additional but lesser impactful ranking factors that search engines use for their ranking algorithm. Comments left by viewers are more precise and descriptive indicators that search engines use to determine rankings. The video quality of what is being watched influences rankings as well. A video with a higher contrast and better sound will definitely rank higher than those without one or both. A possible explanation for the importance of video quality is that many search engines may attempt to watch the videos themselves and the ease with which they watch positively impacts their rating decisions. At the same time, high-quality content is more likely to be viewed and shared more often. Channel subscriptions and the velocity at which the subscriptions take place display the growth and popularity of that channel and are a testimony to the content of it. Video relevance has changed over time but in comparison to other ranking factors affecting video content, you have more influence on the relevance factor. Keywords and titles, descriptions, location diversity, transcriptions make up the components of video relevance. Keywords and titles of the videos are effective in rankings, but not very much. The more relevant the title and the more attention grabbing it is, the better the content does at drawing viewers in. Keywords in the description have been shown to have little correlation to video rankings. This lack of correlation to ranking must be taken lightly, however, a great description can bring in more views thus equating to higher search placement. Providing potential viewers with a thorough description of what they can expect once they click on the play button can positively affect the viewer’s interpretation and experience once they watch the content. Location diversity means that the more sites your video is linked to; the more viewers it will attract. Making these locations as diverse as possible will widen the audience to which your content reaches. Transcripts that are attached to the site can help in bridging the gap between the relevance of the video and a conventional search. You can also upload the transcript to YouTube for the use of closed captioning. This can diversify the audience as well as increase view time. Most important of all, make sure you keep the guidelines of a search engine as your foremost thought. Search engines want to keep their viewers pleased while watching more and more ads. The search engines need good content to produce a solid platform for those ads. If you can provide that solid platform, then your rankings will be high. Be aware of the tempting pitfalls that will hinder your success as a content provider. Steer clear of bribing for reviews, stuffing keywords, and buying views. YouTube can remove your content and/or suspend your account if they suspect you are guilty of any of these offenses. You can, however, utilize paid ads in order to promote your content so long as you are not directly paying individuals or groups to do the promotion. Make sure that your approach to content creation is wide-ranging and is thought out from all angles. Never divert from the goal of keeping users watching by creating a quality experience. This will mean a huge payoff for both you and the search engine. 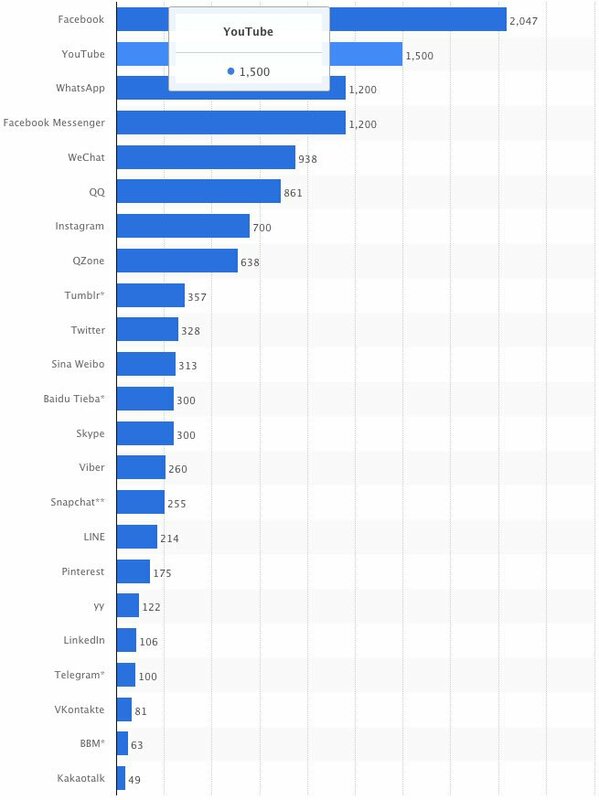 According to Statista YouTube is the second largest social network. Now that we have gone over the official proven ways to go about achieving high rankings among video SEO, we will cover some myths floating around. Although the myths may provide some levels of success in the short term, the end result may be damaging to your optimization campaign. While this may be true, this practice is what is known as “click farming”. Search engines anticipate this and are on the lookout for services that have the unmistakable earmarks of click farming such as generating a large number of views in a short time frame and when the views are generated from a known proxy service or a single location. Other indicators of click farming include the generation of incomplete views as well as views that have little to no participation from the viewers. The search engines are highly intelligent and are apt to recognize these signals. If you receive an exorbitant amount of views in a short amount of time, say five thousand views in 3 hours, but then over the course of the next 3 days you only receive 20 then search engines will begin taking a close look at your tactics. If you are found to have employed any of these tactics, the search engines can take action up to and including removing your account. This is definitely not worth the risk as the rewards of a high view count using click farming will be fleeting. Once the initial view count rise ends and the velocity slows down, your rankings will undoubtedly drop because the lowered interest in your content will be noted by the search engine. For those of you that are concerned that a sharp rise in view count due to great content may be mistaken for maleficence, not to worry, incidences of this are low. Search engines are intelligent and can differentiate the authentic profiles from the faux ones. This isn’t a cut and dry myth in that YouTube can in fact index a voice track of a video, just not well enough to be effective. The ability of YouTube to transform your voice into an accurate transcript is not proven enough to risk your rankings on. Many believe that repeating certain keywords enough times in the description list will help their rankings. This just does not help. Engagement by the viewership is needed in order for a search engine to be satisfied and for that satisfaction to translate into higher rankings. Metrics such as views, likes, and comments speak to this engagement. This is false. YouTube provides a platform for the little guy to actually surpass the big brand names. Again, engagement is the main objective in this whole process and YouTube’s desire for that is no different. If your content shows that it can engage an audience, then it can exceed the content of a larger brand making the size disparity of the two brands irrelevant. Search engines deciphered this tactic long ago so, to put it bluntly...do not even try it. Shortcuts are in and of themselves a myth when it comes to achieving high SERP rankings. If creating content is done right and easy, then you will be making it easy for the search engines to classify your content and this would be the best route to take. Work to build an organic and natural audience interest in your content from the ground up. Make sure to take note of and to perfect your best practices that prove successful and video SEO can be a formidable traffic driver. Be skeptical of shortcut methods to get high SERP rankings that are billed as “easy”. They are mythical!